Another Sukkot holiday season has come to a close. 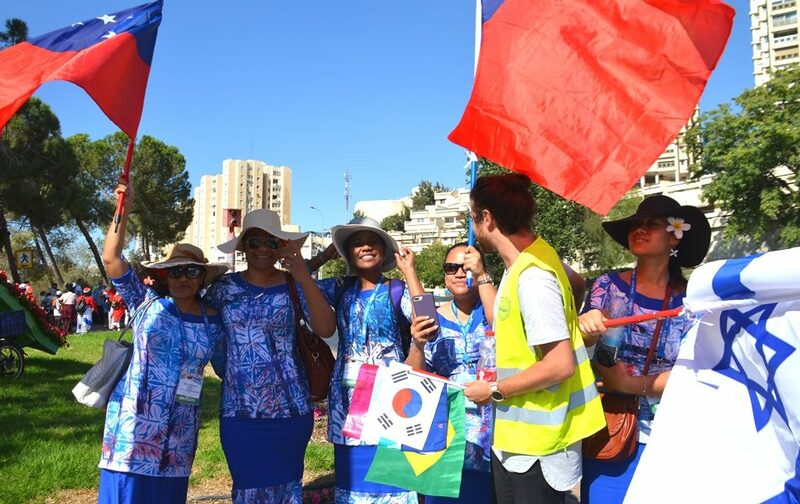 Tens of thousands of tourists and visitors arrived from around the world. but there was much more happening in Jerusalem, Israel. 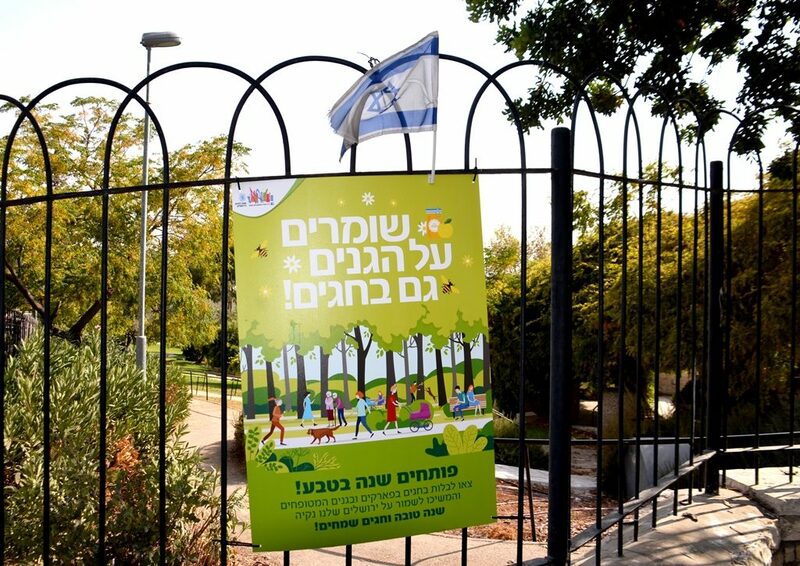 Jerusalem parks and green spaces welcomed large crowds for the holidays. 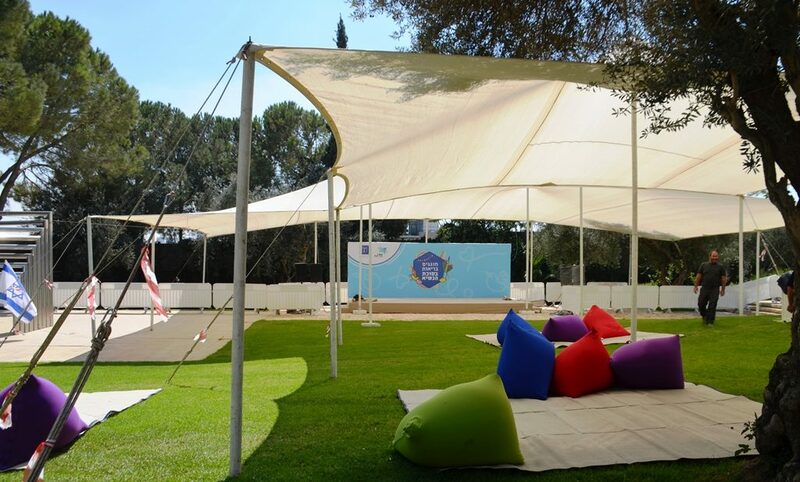 The garden was ready for the annual “open sukka”at Beit Hanasi, the Israeli President’s Residence. 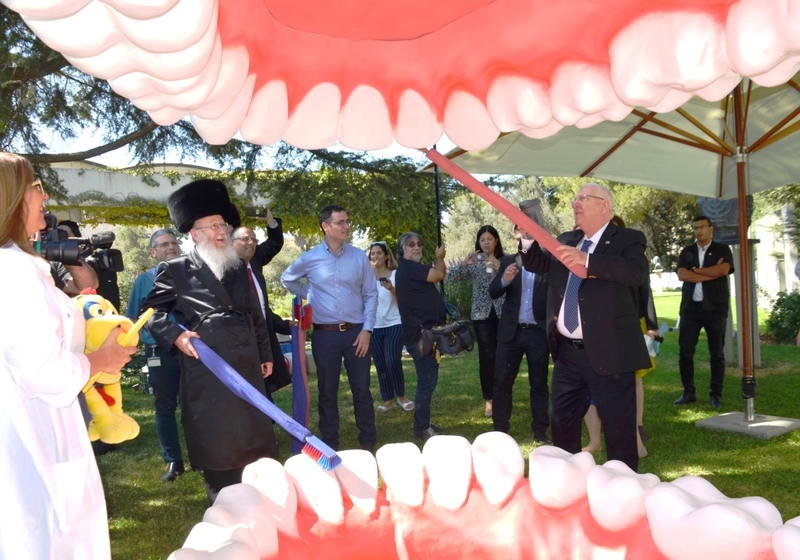 Good health was the theme this year, and Deputy Health Minister Yaakov Litzman came for a preview. 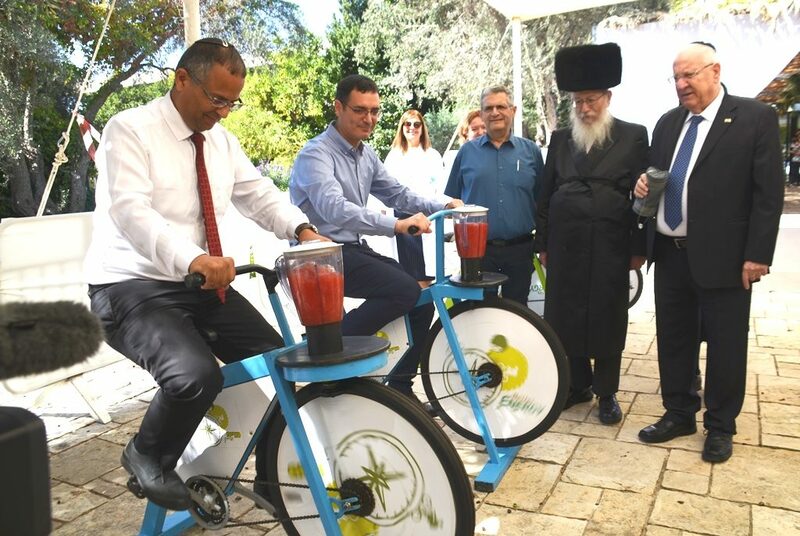 They watched as pedal-powered bikes made ice cold fruit drinks, here with a watermelon base. The lemon/nana (mint) I had was refreshing on a hot day. The weather was warm, but the sukka was cool and inviting. 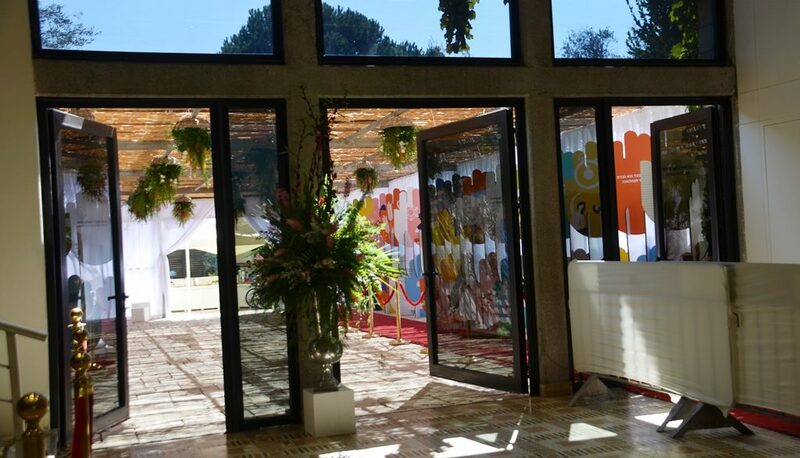 One wall was lined with colorful hamsa designs each with a different slogan. 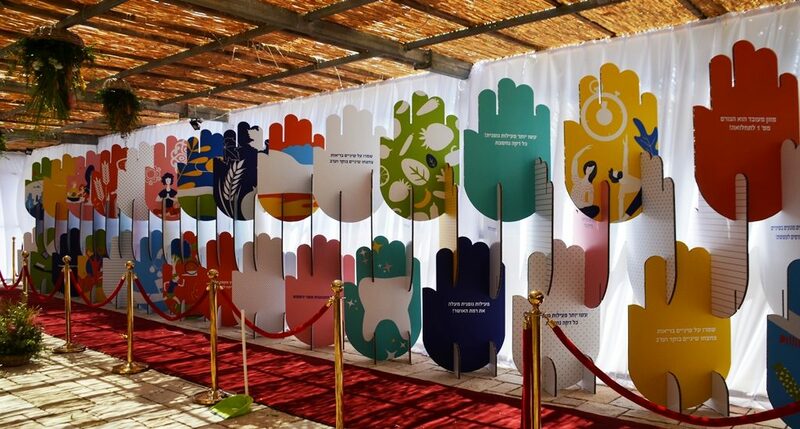 The other wall was lined with the ‘seven species’ that Israel is known for. 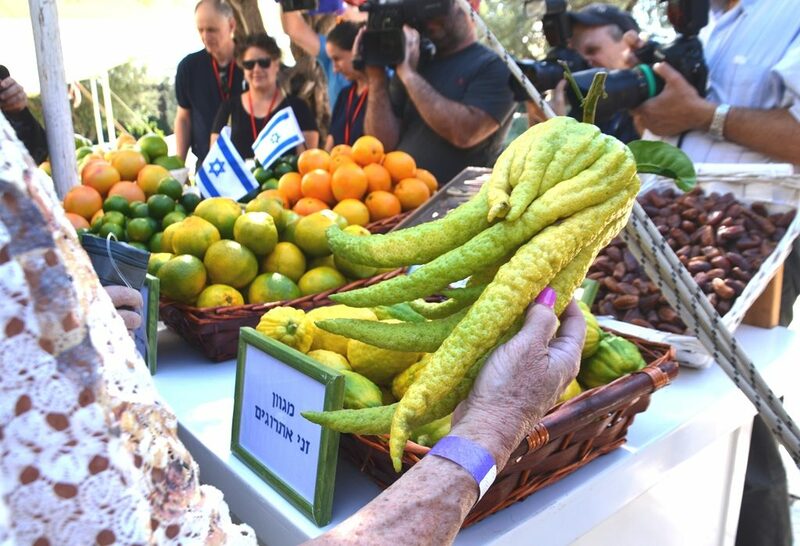 This ‘finger etrog’ was the best of the season. While not kosher for holiday use, it has the most interesting shape. In addition, there was a traditional sukka on the Beit Hanasi grounds near the synagogue. This woman was taking photos of the President and MK Litzman inside Beit Hanasi. 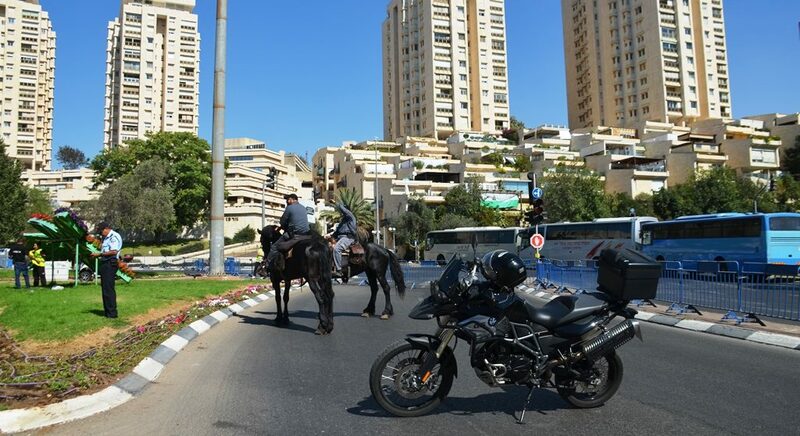 No one else thought the scene was photo-worthy, just another regular day in Jerusalem. 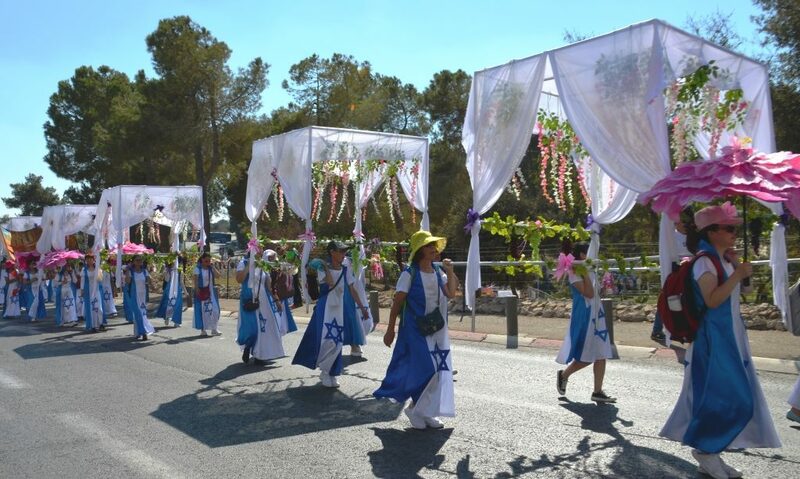 An annual event on Sukkot is the Jerusalem Parade. Streets were closed, and security services were out to protect the tens of thousands on the streets. Gan Sacher, Sacher Park, was the gathering place for thousands of march participants. Israeli families come each year for activities in the park. 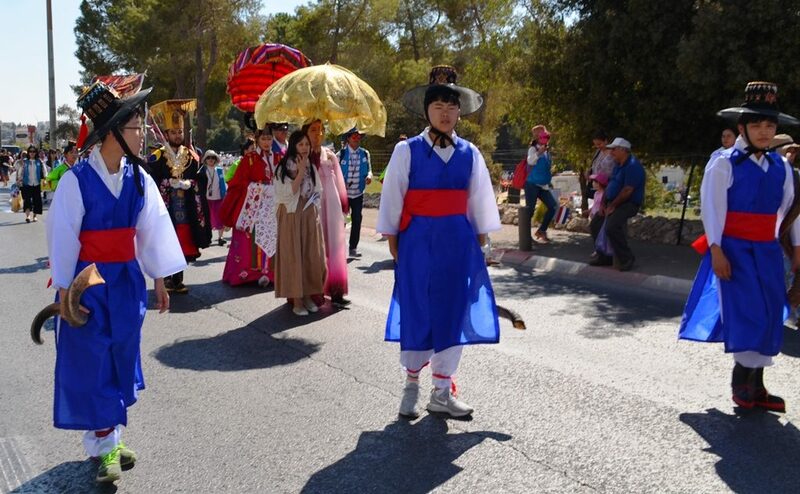 They also come to see the colorful and interesting costumes. Close to 100 countries were represented this year. 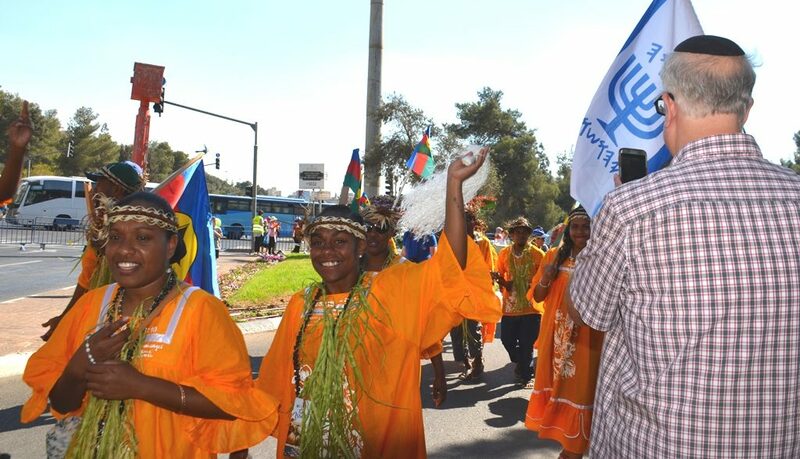 Women in matching costumes carried 12 tabernacles with the most amazing coordination. The march proceeded to First Station by way of Bezalel Street. The excitement of the participants was obvious. Each year I thank my friends who are named Brazil for introducing me to this event. Most countries come prepared with small flags to give out to those lining the streets to watch. 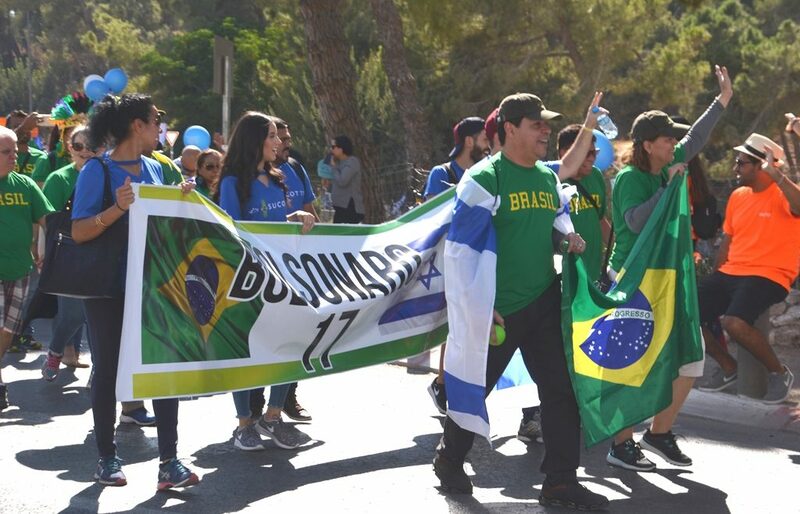 I hope they got something good from the marchers this year, as Brazil had the largest group with 900 participants. While Israelis return each year, this man from Brooklyn was at the parade for the first time. This woman, I assume from the USA, was all ready to give out the Stars and Stripes. 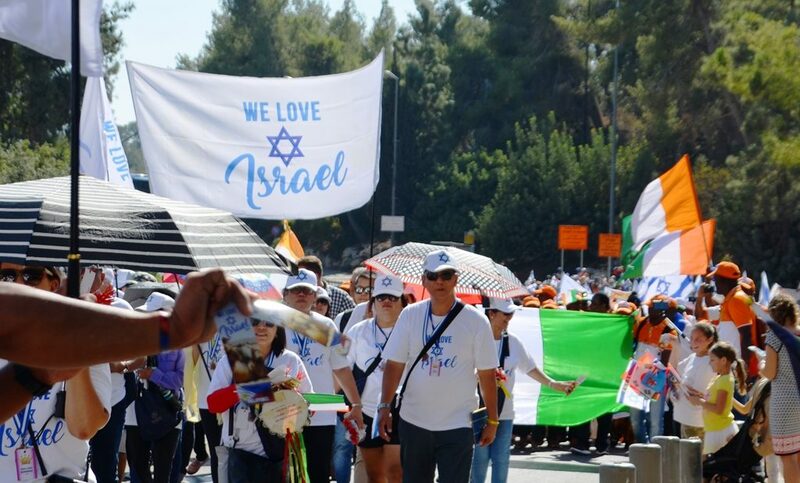 Sponsored by the International Christian Embassy of Jerusalem, many marchers come back every year to show their love for Israel. Even security guards can relax rules at this feel-good event. A guard let these women into the park through an exit gate when they arrived late. Notice all the flags he had already collected from the marchers. 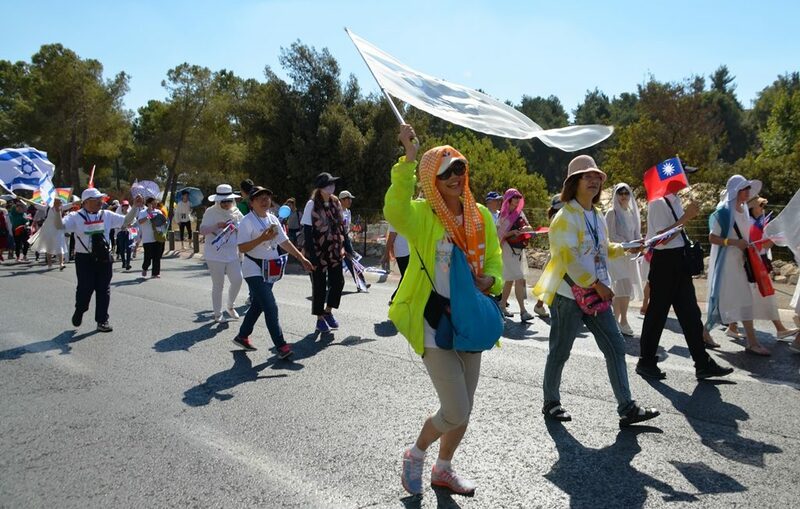 Not just Christian visitors participate, as IDF soldiers, and other Israeli groups march also. So much more happened over the holidays. 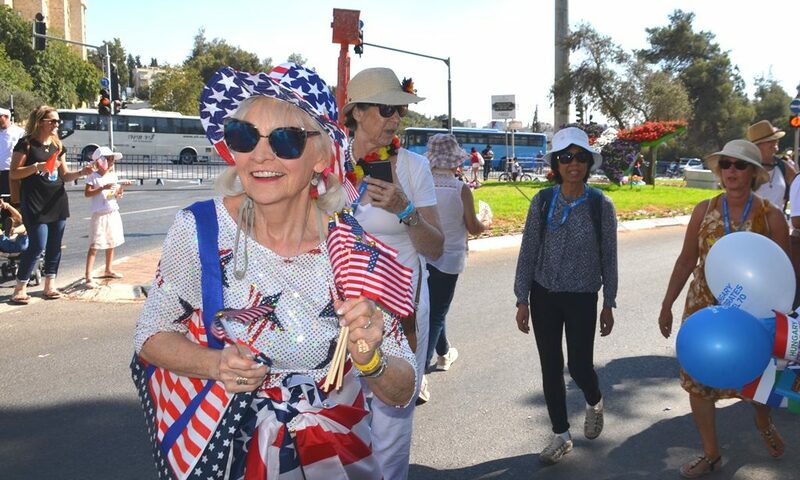 There was music and dancing night after night at hotels and local community centers, and even the Harlem Globetrotters performed in Jerusalem. 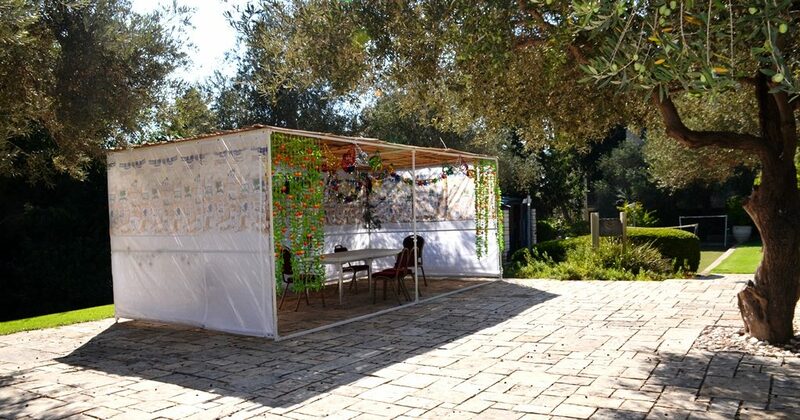 Sukkot in Jerusalem, another amazing holiday season has come to an end. One more quick look at the impressive parade and Facebook photos here. Much is happening in October, so no down time after the holidays on the Jerusalem streets. 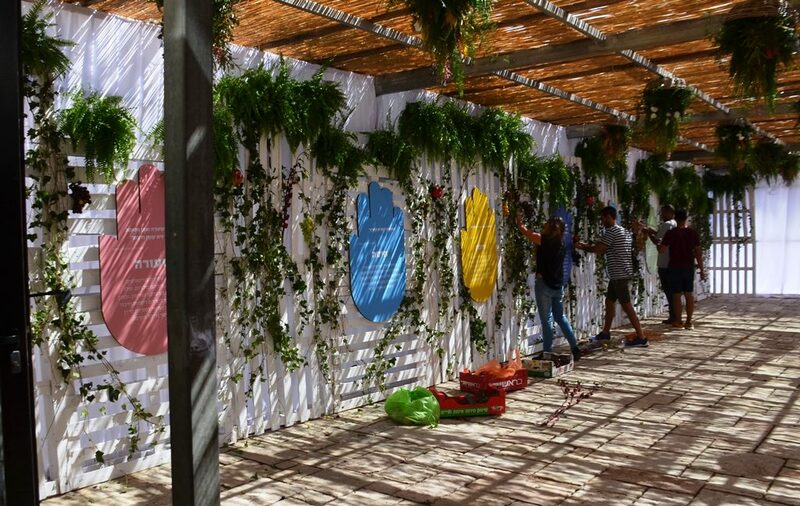 Amazing report on Sukkot in Jerusalem! The video of the marchers was very enjoyable! Kol ha Kavod!! !